A Deluxe Poker Trainer Game! 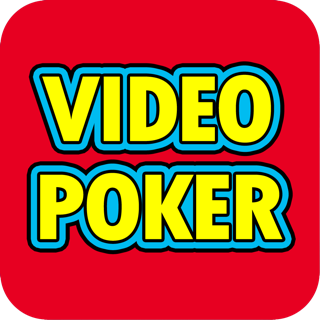 Download Video Poker completely FREE! 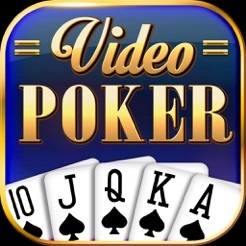 Enjoy a clean and simple Video Poker experience, just like a real casino. 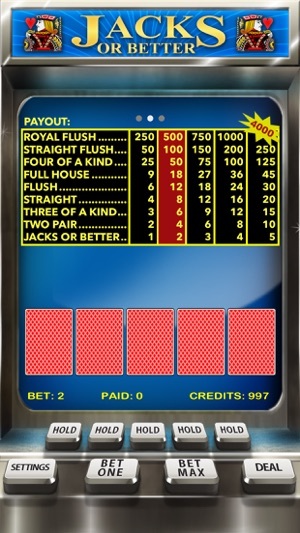 This game is the most popular version of Video Poker, called Jacks or Better -- also known as "Draw Poker". 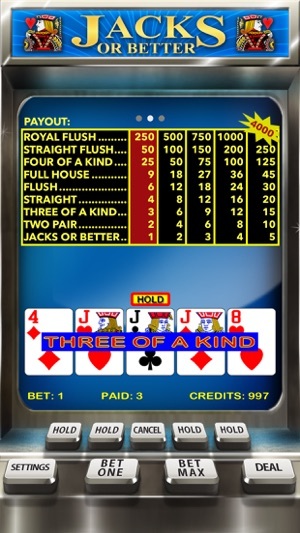 Video Poker has the best odds compared to other casino games, and is a fun way to get the thrill of winning in casinos! This game requires more strategy compared to playing slot machines, and the payouts are more likely if you know how to play. 3. If you land a poker hand in the next draw, you win! 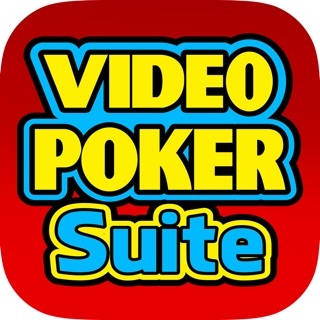 Thanks for playing Video Poker by MobilityWare. If you love this game, please give us a review! Thank you for playing Video Poker. Please support us by leaving an app store review! 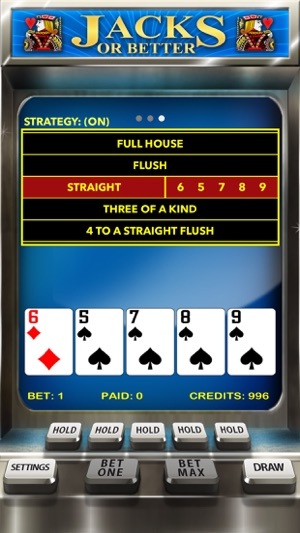 We created a minor fix in this update to retain Video Poker’s smooth gameplay. Enjoy! 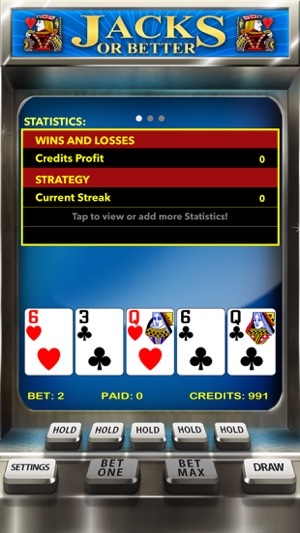 This is a great video poker *training* app. Just like the real thing. The ONLY improvement I can think of is to have a couple of counters attached to show how many hands are played and how many hours are spent playing. It may need a start/pause switch for the timer or an auto pause after x-number of seconds of inactivity. That would help analyze how many hands/dollars are played per hour to try to estimate comps. Thanks for playing Video Poker Casino! Fortunately, we have a feature included in the game to see how many hands you've played! Please open the game Settings and then select Statistics. You can then use the Hands Won and Hands Lost stats to see your total number of hands played. Additionally, most devices have a feature to see how long you've played a specific app for. Please do not hesitate to email us at support@mobilityware.com if you'd like further assistance or if you have any other questions! 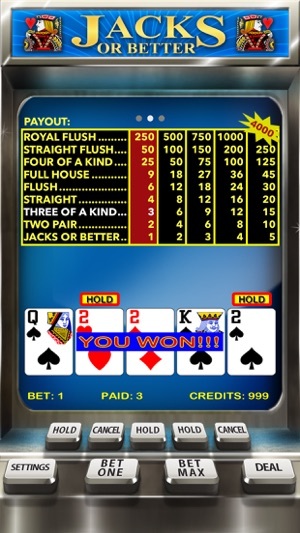 I liked this video poker app before the recent update, and it's just as good now. However, I'm bummed that it reset my winnings to 1,000. Also, the ads at the top of the display are very distracting....especially the ones showing slot machines. This is my second review. I still play this game regularly, but if there was another one that didn’t have the ads in your face, I would pay good money for it! It’s sooooo distracting, and I will make it a point to never patronize any of the advertisers. Thank you for your feedback! Our ad policy was created to be as user-friendly as possible! This means that ads should be simple to close after a short timer and never play during the middle of your game. We ask that users open the game Settings, select Support and then Contact Us if they’re seeing a broken ad so that our team can work to fix the issue as soon as possible! We appreciate you taking the time to share your Poker Casino experience with us! Thank you for playing MobilityWare! I love video poker been playing for years (even with a real deck). Anyways, based on my experience I can tell you this app is good for learning and feels how a real deck feels. Over the years I developed my own strategy, I play for big hands when the app tells me not to. ("gambling") But I dont play for money irl, and if I do its like 5$ rarely, so I play with my own strategy.